Dogs are excited and playful creatures. They look forward to playtime as it’s the most entertaining time of their day. You should always encourage them to play not only because they can have a good time, but also because there are tons of cognitive and physical benefits to reap. To keep your four-legged friend happy and healthy, you can provide them with some useful dog toys. These are particularly very important for young, growing puppies. Chewing on certain toys also help them strengthen their gums and teeth. Want to know more reasons why toys can be their best friends? Here they are! As a dog owner, your dog’s dental health should be your main concern. Dental health is crucial to the overall health of your dog. Playing with chewable toys is a great way to prevent poor dental hygiene. It’s much easier than having their teeth cleaned (for instance, through surgical or non-surgical methods). The idea is to buy some nice toys that are designed for chewing and cleaning their teeth as they play. These specially designed toys stimulate the dog’s saliva in a way that helps reduce the occurrence of plaque and other dental problems. Dogs need exercise. It’s a definite requirement for your pooch’s wellbeing. Dogs need cardio and strength training exercises to maintain their low body fat percentage just like humans do. Some common games that will provide the perfect cardio to your dog include frisbee, fetch, and various water games. These agility exercises are a great way to provide muscle strengthening opportunities to your furry friend. Introducing toys is also a great way to encourage them to move and exercise. You can also participate in these games to stay active. However, there are other automatic toys too, that the dogs can play with on their own such as Fastdogs.org automatic ball throwers for example. Your dog will get the necessary workout even though you might not have to time. 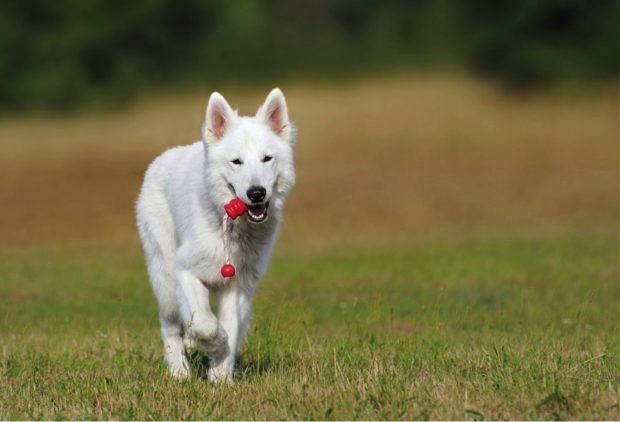 The idea is to ensure that your dogs are playing and moving around to get their daily exercise for their wellbeing. 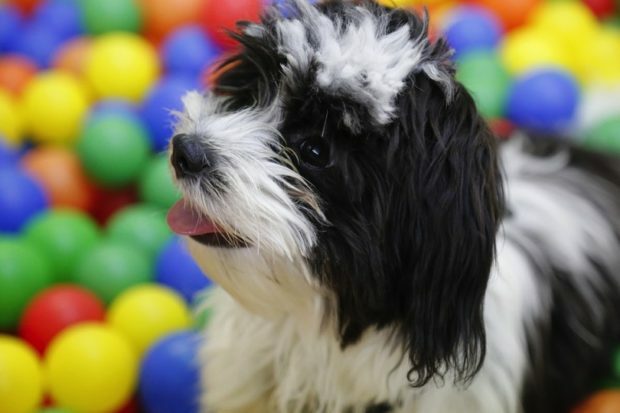 According to a research, dogs that do not play with toys have a higher chance of displaying certain behavioral issues – including aggression and anxiety. If you just got a dog or a puppy, they may already be suffering from separation anxiety. Toys can play a major role in distracting and comforting them. Play with them and provide them with toys to help control their anxiety before your brand new furniture becomes their chew toy. Being dog owners, we all aim to have well-trained and smart dogs. Training goes hand in hand with playtime. It sharpens their minds and results in cognitive strength to make training easier. Engaging in some playtime before the actual training starts also helps in making your dog calm and attentive. This is particularly essential for puppies. You’ll experience the difficulty in training them if they don’t pay attention. The trick is to tucker the puppies before starting their training class. Bonding is as important for your dog as it is for you. This benefit is the most important one that you’re going to enjoy equally. Having a play session together will help you bond more with your dog. You’re everything they look up to. They love and cherish every moment you spend with them. And the best way to make the most out of it is to enjoy some play time together. There’s nothing better than bonding with your little friend during play time while ensuring various other benefits. Playing with toys is a method of keeping your dogs preoccupied and happy. They also love to cuddle to some toys when they’re tired. Now that you know all the reasons why your dog should play with toys, it will become easier to choose the right one for him. There are different types of dog toys available on the market. You can do your research and find the most suitable ones for your dog. In addition to some chewable toys, investing in a few toys that help them become more active and sociable is also a great idea.